With nearly 20,000 acres of flats, the Bahamas is the largest fishing area for bonefish in the world. At Crooked Island Trophy Lodge the fish are larger than the average size as they enjoy the abundance of food that comes from one of the richest natural environments on the planet; the mangrove flats, irrigated and seeded every day by the rich waters of the Atlantic Ocean and the Gulf of Mexico. In the extreme southeast of the archipelago, less than a hundred kilometres from the Haitian and Cuban coasts, Crooked & Acklins form an atoll over of 230 square miles. 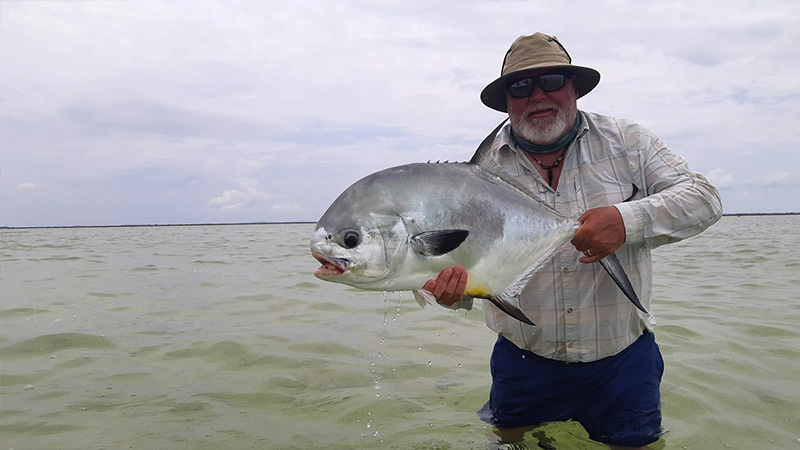 It´s huge and shallow lagoon consisting of the islands of Crooked Island, Acklins Island and Long Cay and makes a perfect wading area for bonefish and permit. © 2018 Crooked and Acklins trophy Lodge All rights reserved.